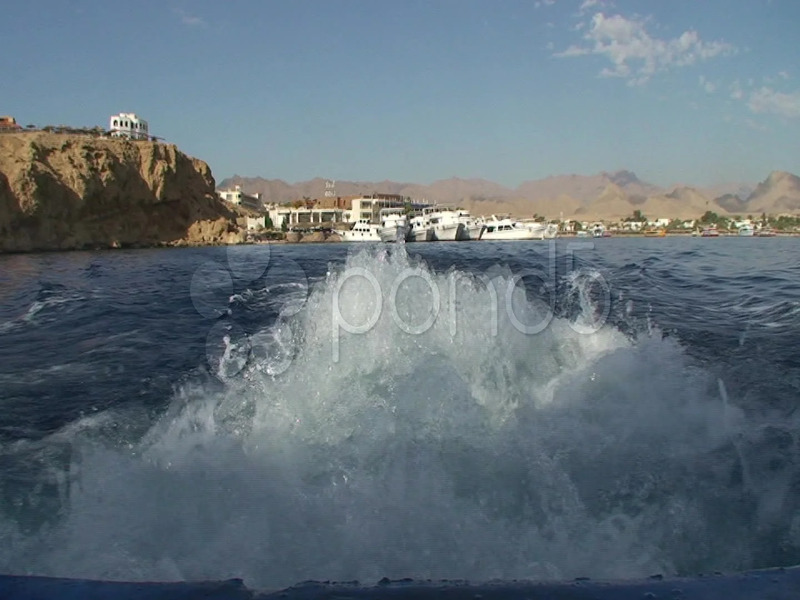 Description: Dive boat leacing the harbour, Sinai mountains in the background. View of the propeller wash from a low angle. Red Sea, Egypt.